Card Info: MFT is the primary dies used on this card, along with at Verve sentiment, verve leafs, and Gina K paper. Some Nuvo drops for my daisy centers. Categories: Cards | Tags: Card making, Cards, Gina K designs, my favorite things, rubber stamps, stamping, Verve Stamps | Permalink. Gorgeous card! Such vibrant colors and love the flowers and the Nuvo drops are the perfect touch! Love your card! Such vibrant colors, and pretty flowers! Perfect finishing touch with Nuvo too! Very eye catching and LOVELY!!! Great card and I love the colors. An absolute stunner Nancy. Love the dp and the peek a boo tag. Fabulous layout. 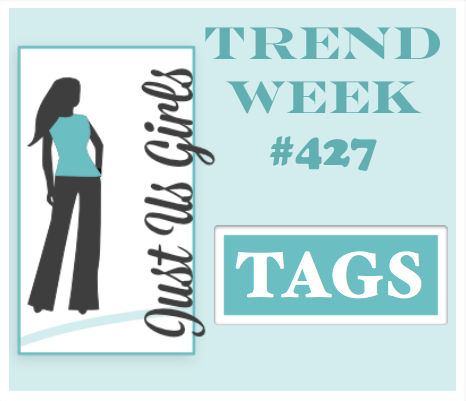 Love this outline tag — that flower dp is gorgeous too! That background paper is gorgeous, Nancy, and your yellow tag just pops off it. So do the daisies that bring in the color of the borders. Beautiful design. Thanks for the FAB challenge this week! LOVE your colors and the pretty blooms! LOVE the open tag!! Gorgeous card!! I love this bright and bold look on your tag card. It just pops with color and design. Very pretty. 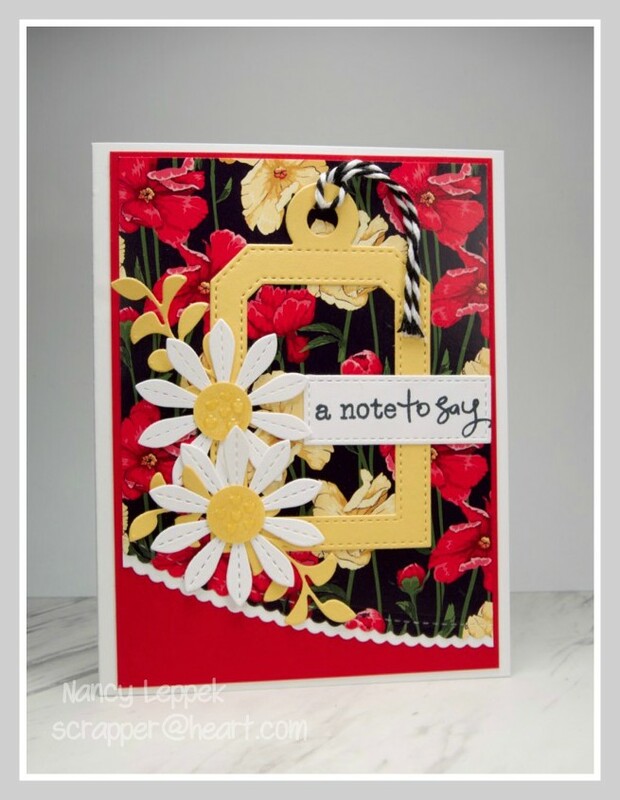 Love the open tag and the daisies on the pretty background paper with the angled cut. A striking, eye-catching vibrant colour combination, Nancy; such lovely paper, made all the more head-turning with the die cut daisies and frame tag! Another work of art! Sending hugs that things will settle down for you very soon! Oh my goodness, I LOVE this. Those bright colors and that background are THE BOMB!!! Wonderful way to use a tag, this is just spectacular!!! I LOVE this bright and cheerful card! That open center tag is so cool!